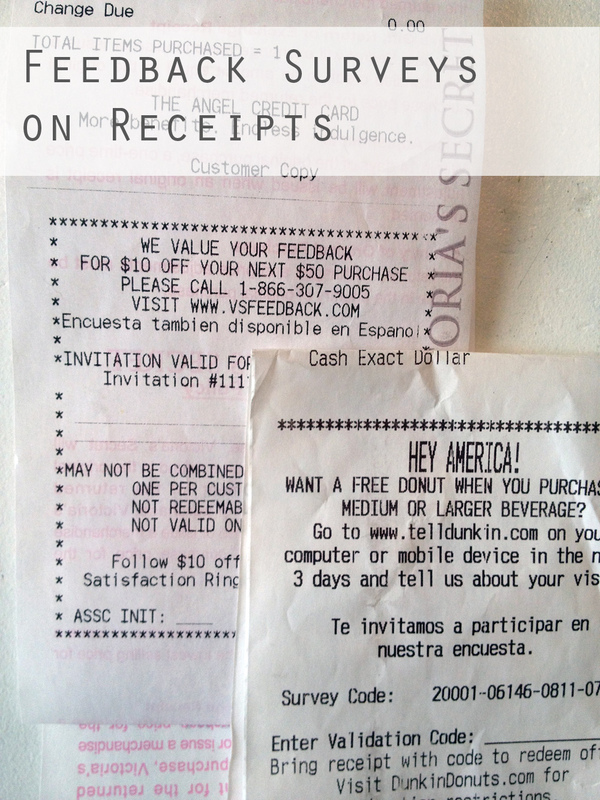 Often, the bottoms of store receipts have information about taking a feedback survey. Typically, you’ll either get offered a chance at a larger prize (“Enter to win a $500 gift certificate”) or a discount towards a future purchase (“Get 20% off one full price item”). This is a great way to get a coupon. Frequently the surveys are very brief, so there isn’t too much of a time investment. On my recent trip to Victoria’s Secret where I only “purchased” free underwear, the receipt still offered me a survey to get $10 off a $50 purchase. It’s entirely plausible that I won’t use this discount, but I’m taking the survey just in case. Dunkin Donuts is even better and I almost always get a link to a survey that gives me a free donut with a future purchase! Make sure you check the bottom of your receipts and maximize your discounts. 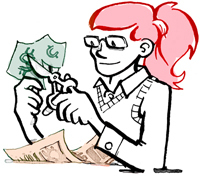 You may have to take the survey within a certain number of days, so be sure to take use minutes to save your money!